OUR PRICE: $80.00 - Join Rewards Get $8 Dance Dollars On This Item! 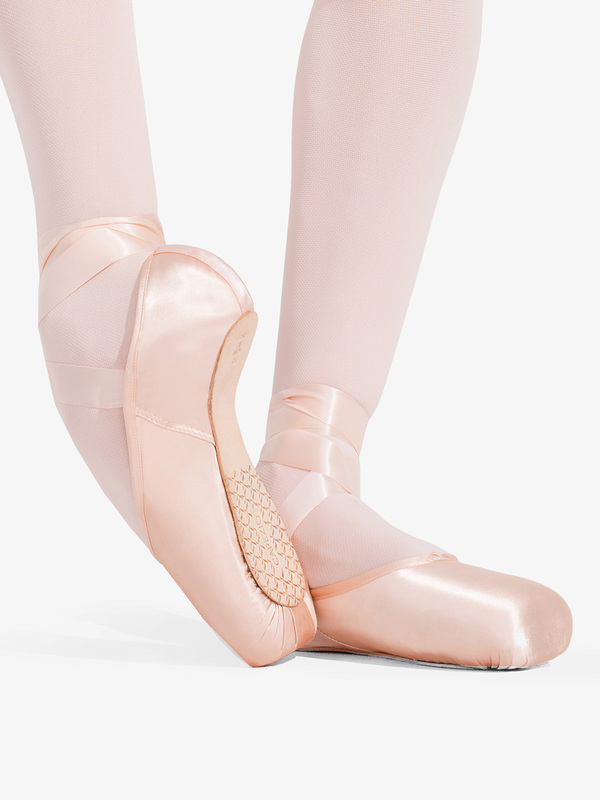 Providing additional structure and lateral support, the "Ava" pointe shoes feature a broad square toe, low crown, narrow heel, full #2.5 board/red board combination shank, medium vamp, slight "U" shape throat, and plush anti-slip interior lining. My grandaughter wears Ava and loves them and is on her 4th pair! After being fitted in another store she took their advice and tried RP Brava, but was not happy, therefore she is now back to this shoe. I had recently tried these shoes after wearing grishkos and blochs for a while. They are very comfortable and look great on my feet. The only downside is that they die fast, but fit great on my feet so it is worth it. I've been dancing for 9 years, and these were my fifth pair of pointe shoes and the first pair that I'm buying again. I've gone through Mirellas, Gaynors, Bloch, and even other types of Capezio pointe shoes. And I LOVE the Avas best of all! My feet are average sized but have a really thin heel and a wide front. The tapered heel and the drawstring make it so that these fit me perfectly. I am so happy with them. They make my feet feel great and I've been dancing better than ever. The only downside is that they do die rather quickly. But I've noticed this is true with other Capezio shoes, too. I dance on pointe for about 6 hours every week, and they only lasted just under 2 months. Other shoes I've had have lasted for 3 or more. But the fit makes the durability worth it. 10 out of 10, would definitely recommend. I am originally a Bloch balance European lover, but I recently tried these and I am obsessed. The are comfortable and I get no more blisters, but they do die fast. Overall I recommend.